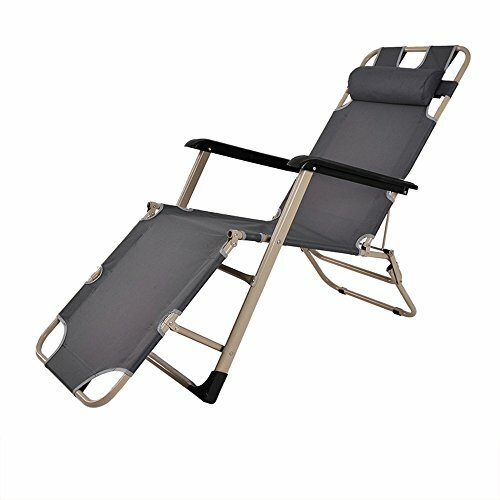 ◆ Products include only folding chairs, does not contain other products on the picture, the product received in kind. ◆ convenient quick folding design, folding will not take up too much space, more convenient to move, whether it is used daily work or go out for fun are suitable. ◆ The bottom of the product with anti-rollover anti-skid pads, with a certain degree of wear resistance, corrosion resistance, to extend the life of the pipe rack. ◆ height adjustable - ergonomic design, this folding chair has two adjustable height, it has good waist support and comfort, different height allows the legs to be completely relaxed. ◆ Material: Steel + Oxford cloth to strengthen the fabric, flat size: 153 * 60 * 89cm, folding size: 97 * 15 * 61cm.